Think your Household tap water is safe to drink? Think again! Although drink water in the U.S. has been protected by the Safe Drinking Water Act since 1974, insiders claim tap water fails increasingly to meet health-safety guidelines. According to a recent investigation by the New York Times, millions of people in the U.S.have been exposed to drinking water contaminated with thousands of chemicals, in low concentrations, that are not federally regulated. Proactive citizens can write to their Congressman and to Federal Government urging them to update the Safe Drinking Water Act to include and regulate new, potentially hazardous chemicals in our water supply. Many consumers purchase home water filters for added assurance. 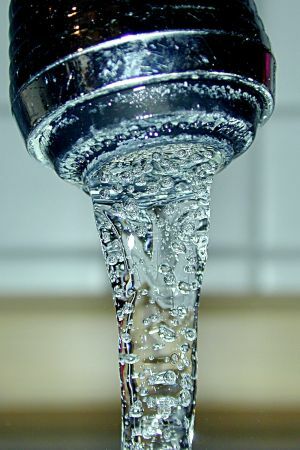 But, before going out to buy one, find out which contaminates, if any, are in your municiple water supply. If you want to know more about the quality of your areas water supply go to www.ewg.org. Check out the “What’s in your Water?” tool. Just enter your zip code. 1. Carbon Filters include countertop pitchers, Faucet-mounted models, under-sink models,and whole-house or point-of-entry systems. Being a porous material, Carbon absorbs impurities as water passes through it. Contaminates it removes: Lead, PCBs, chlorine byproducts(chloramines and trihalomethanes), certain parasites, radon, pesticides and herbicides,the gasoline additive MTBE, trichloroethylene (dry-cleaning solvent),some volitile organic compounds, some levels of bacteria, such as Crytosoridium and Giardia, and small level of pharmaceuticals. 2. Reverse Osmosis Systems pushes water through a semi impermeable membrane. It is frequently used along with carbon filters. Contaminates it removes: perchlorate, sulfur, fluoride, industrial chemicals, heavy metals, chlorine byproducts, chloride, and pharmaceuticals. 3. Ultra-Violet Lights disinfect water and kills bacteria. Contaminates it removes: Bacteria – Experts suggest using them with carbon filters. 4. Distillers are said to be the least practical home solution. It requires a lot of electricity and generates excess heat. Exploring other options is recommended. Contaminates it removes: Heavy Metals, particles, totally dissolved solids, mircobes, fluoride, lead, and mercury. The folks at waterfiltercomparison.com divided 14 brand-name water filters into three categories: Pitcher, Countertop/Faucet, and Under-Sink. In the Pitcher category Brita, Mavea, Pur, and ZeroWater all scored poorly. Retail prices are from $22.99 to $39.99. While the Pur Pitcher claims 13 total contaminates removed, the comparison suggests it to be only partially effectiveness. In the Countertop/Faucet category the Aquasana AQ-4000 appears to be the best overall value in all categories. according to the comparison AQ-4000 totally removes 46 contaminates at 10 cents a gallon and a 500 gallon capacity. The retail price is $124.00. In the cateory of Under-sink models the Kenmore Elite totally removes 45 contaminates at 24 cents a gallon and a 270 gallon capacity. The Retail price is $119.99. Good environmental practices start at home and the best way to buy water filters is to first, know your local drinking water supply. Know what contaminates it contains and get the best for your budget and your piece of mind. Does your current water filter offer you reassurance that it can remove toxic chemicals from your local drinking water supply? Do you think more drastic measures should be taken? Share your thoughts on U.S. Green Technology or visit our green technology job board to find your next career in clean energy! The Natural Laws that govern the order and structure of galaxies are the same Natural Laws that govern the order and structure of human consciousness. This entry was posted in clean drinking water, drinking water, green products, green sector economy, Green Technology, green things, water filters and tagged Bottled water, Drinking water, New York Times, Safe Drinking Water Act, Water, Water filter, Water supply, Water treatment. Bookmark the permalink.